Driving with a suspended license is not advised. State statutes strictly prohibit it. If caught, depending on the nature of your suspension, you might draw the ire of both the DMV and the court. Substantial fines. Expect to pay much more if a repeat offender. Possible time in jail. It's not uncommon for some states to impose a one-year prison sentence. Possible community service time. In some cases this may be either in lieu of jail, or in addition to jail. More points added to your driving record (if state-applicable). Possible mandatory enrollment in, depending on your situation, an alcohol and substance abuse program or a driver improvement school. The possible revocation or cancellation of your drivers license. Possible felony charge, which carries long-term legal consequences. A felony on your record prevents you from voting, running for office, holding certain business licenses, and owning firearms. Stricter DMV scrutiny when it comes time to reinstate license. This may include steeper license reinstatement fees and/or providing proof of auto insurance. 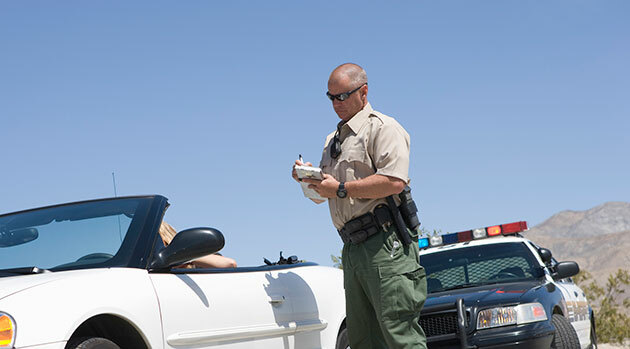 Stiffer penalties will result from not only getting caught driving with a suspended license, but if you're caught while committing a major traffic violation such as driving under the influence (DUI) or reckless driving. Also, in all probability, you can expect higher car insurance premiums. This, of course, will depend on the polices of your auto insurance provider, but history proves most reputable car insurance companies will red flag you as an insurance risk, prompting a significant jump in coverage rates.